Specifying a spend threshold gives you more control over when your members can use their reward. It also encourages the member to spend more when redeeming a reward. 📝Note: This reward type is recommended to be online only. If you want to have it available in-store as well, it requires strict staff training to ensure the sale is over the spend threshold. 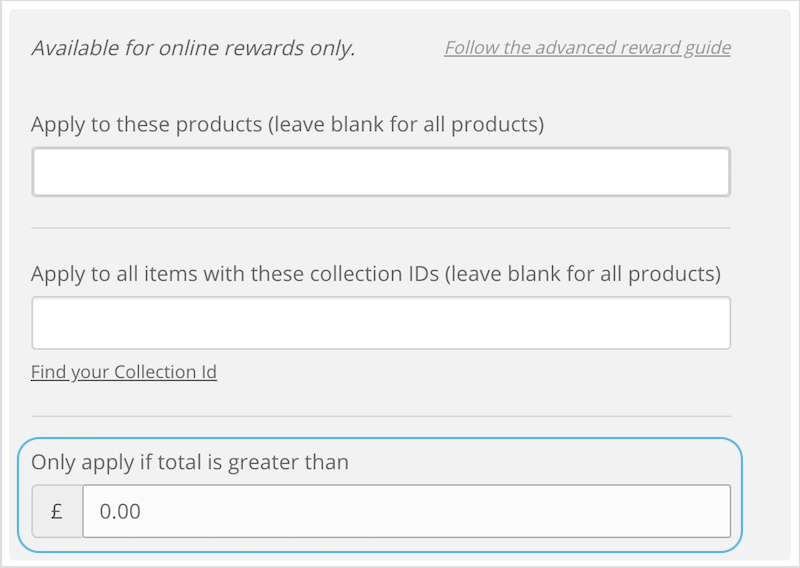 📝Note: On Shopify stores, a reward can have either a spend threshold OR apply to a specific product / collection.If you add a product or collection to the "Apply to..." fields, you will no longer have to option to add a spend threshold. This will apply a spend threshold that a member's purchase needs to reach to redeem their reward. 💡 Pro Tip: Make sure your reward title clearly states the value of the spend threshold to ensure your customers know the requirements of the reward, e.g. $50 off orders over $150. It's also a great idea to reiterate the spend threshold in your reward's terms. When a member redeems a reward with a spend threshold, they will need to ensure their order total is equal to, or greater than, the spend threshold. 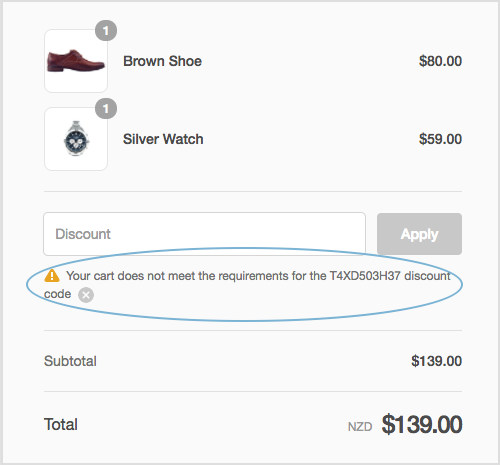 If it is not, they will receive the following note when trying to apply their discount code. 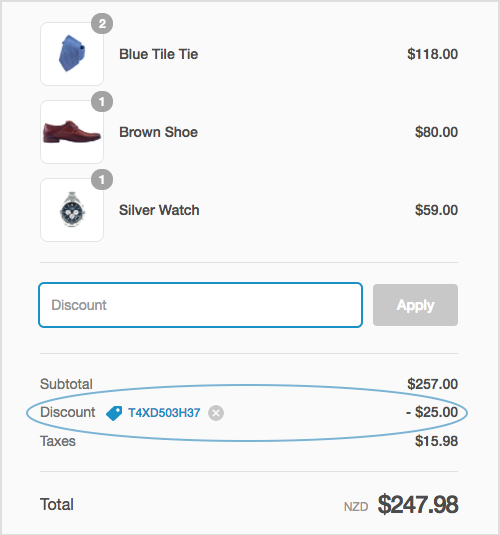 Once they have added products to their order to increase it beyond the threshold, they can simply return to checkout and the discount code.